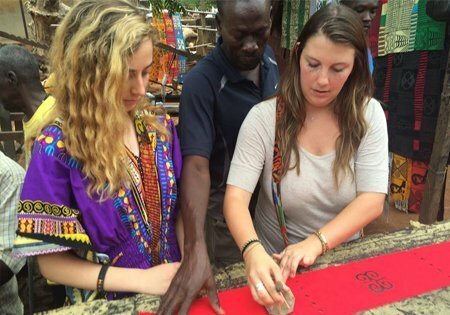 Live and study in the heart of West Africa with USAC’s Accra program. 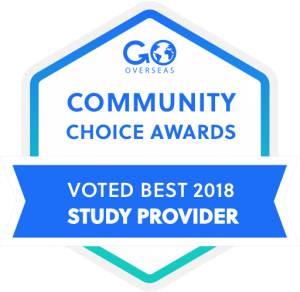 For students who want to learn about complex issues facing a developing African nation while enjoying a rich cultural, historical, and social experience. 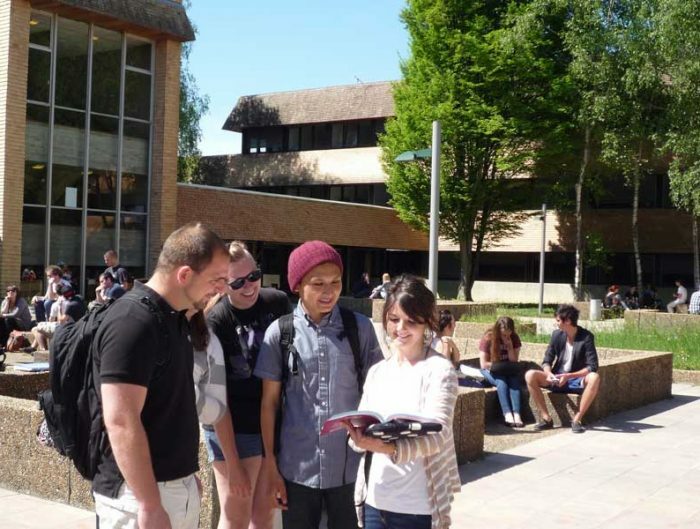 You live and study on campus alongside native Ghanaians making it easy to experience the culture and make friends. 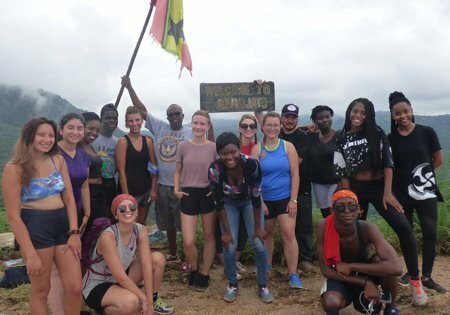 Ghana is colorful and diverse and a study abroad experience unlike any other. 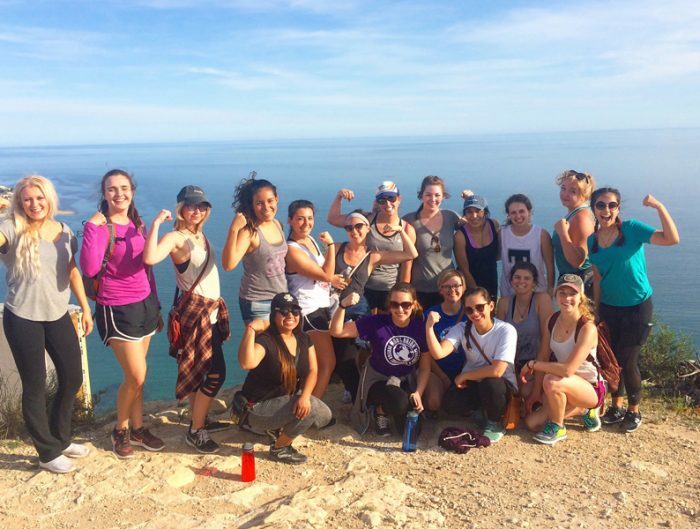 This program offers a variety of volunteer and service-learning experiences. On the weekends, it’s easy to escape to one of Ghana’s amazing beaches, waterfalls, and natural landscapes. USAC classes, offices, and housing are located on the campus of the University of Ghana at Legon. 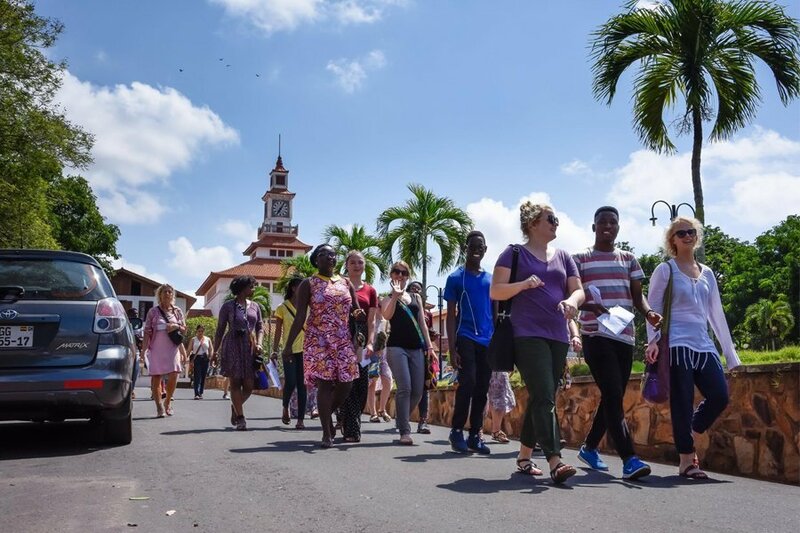 It is located on a beautiful, extended, American-style campus on Legon Hill (one of many small suburbs in Accra), about eight miles from the city center. 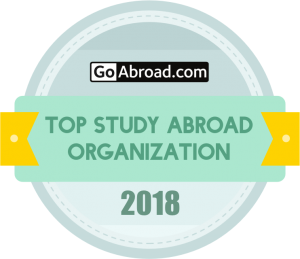 With more than 28,000 students and 650 faculty members, the University of Ghana is considered one of the best universities in Africa. Ghana is the third largest producer of Cocoa in the world! However, it is also the second largest exporter of Cocoa in the world. Visit all the major sites in Accra: the Kwame Nkrumah Memorial Park, W.E.B. 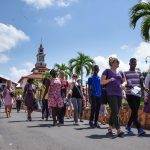 DuBois Center, and Independence Square; visit the Mokola Open market, the decorative coffins stalls, and dine on Ghanaian food and shop in the Arts Center. Travel to Ankobra Beach Resort via Takoradi and Axim; have a chance to relax at one of the prettiest beaches in Ghana. The second day is spent at Nzulezo Stilt Village, a small village on Lake Tadane in the western region of Ghana. The village is built on stilts and the trip on the lake in a canoe to get there is a great experience. 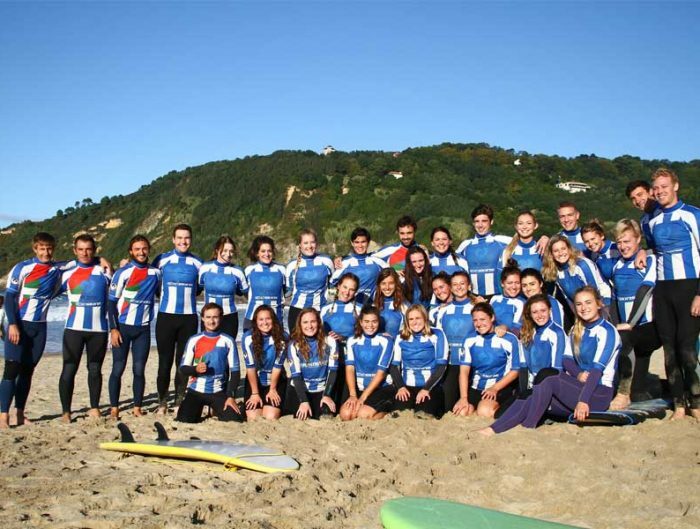 Upon arrival in Nzulezo, learn more about the people of the village and spend some time with locals as they go about their daily activities right on the water. 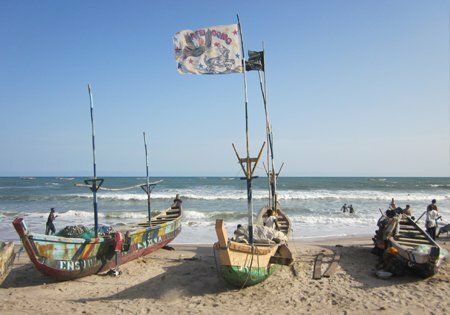 Visit the stunning shore and coastal areas at one of Ghana’s beautiful beaches near the fishing town of Ada. Visit the Central Region’s Cape Coast to see the rainforest of Kakum National Park and brave the suspension bridges. You will have a guided tour of the historic slave castles and enjoy the pristine beaches and beautiful views along the coast.